UUU9 and the Association for Chinese Esports (ACE) are holding a year-end vote for best-of awards in Chinese Dota 2. The categories are: MVP, Best Team, Best 1 position, Best 2 position, Best 3 position, Best 4 position, Best 5 position, and Best Newcomer. 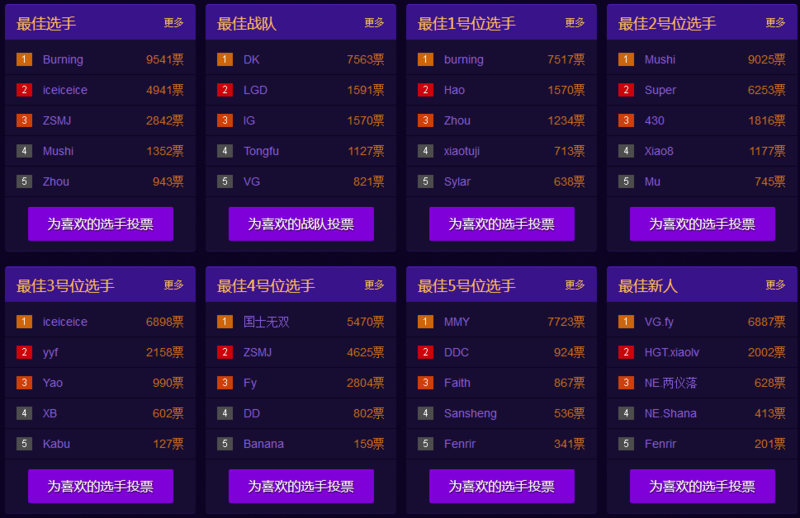 So far, the early results look like it will be a Team DK sweep, with fan-favorites DK leading every category except for Best Newcomer, in which VG’s fy holds a strong position. The Dota 2 Store is nearing official launch in China, after what has seemed like ages. According to Anderson Wang, former Dota 2 commentator (interviewer at TI2), current Perfect World employee, they are performing final tests and checks on the Dota 2 Store before it officially launches in China. This means that Chinese players will no longer have to go through third parties or use VPNs to buy from the international store, they’ll have native access with local payment options right in their Chinese Dota 2 client.